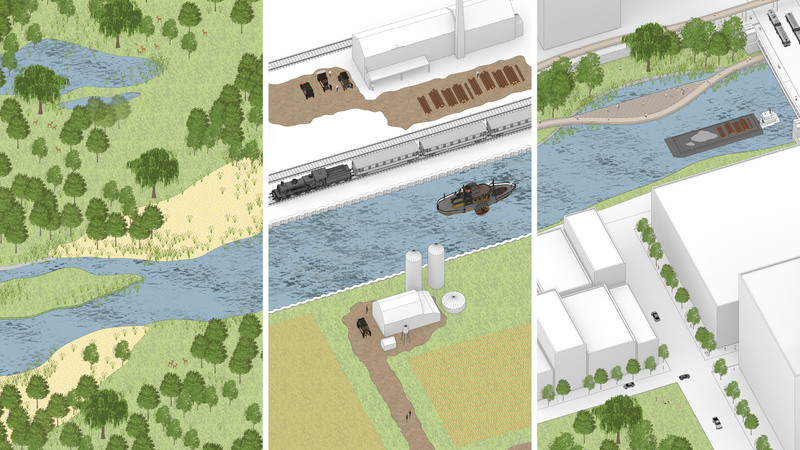 Third Nature seeks to redefine the future of the Chicago River by oscillating between First and Second Nature—terms first defined by William Cronon in his groundbreaking book Nature’s Metropolis: Chicago and the Great West. 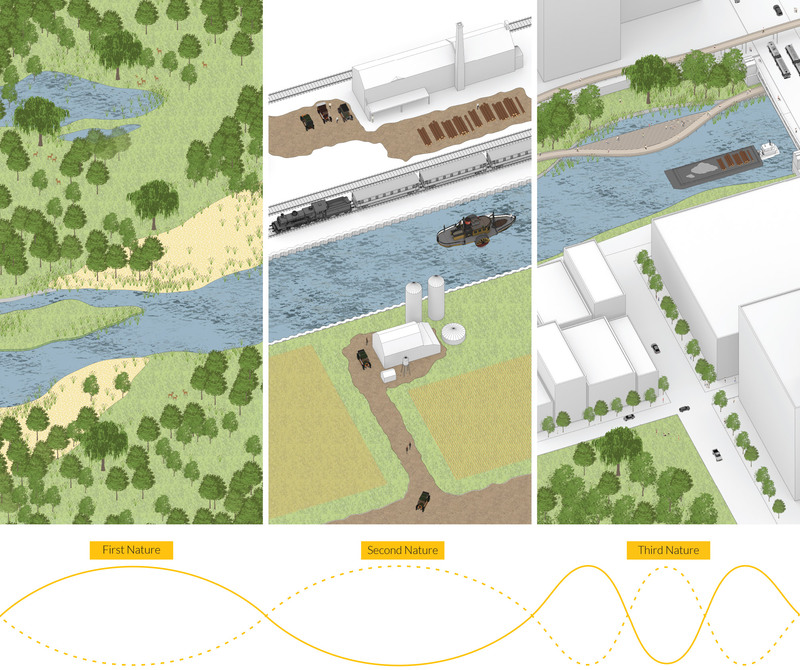 Third Nature improves the river experience by creating an interconnection between social, economic, and environmental values. Seven essential elements (listed below) help achieve Third Nature. Connecting across the river (both literally and phenomenally) fosters a rich experience. 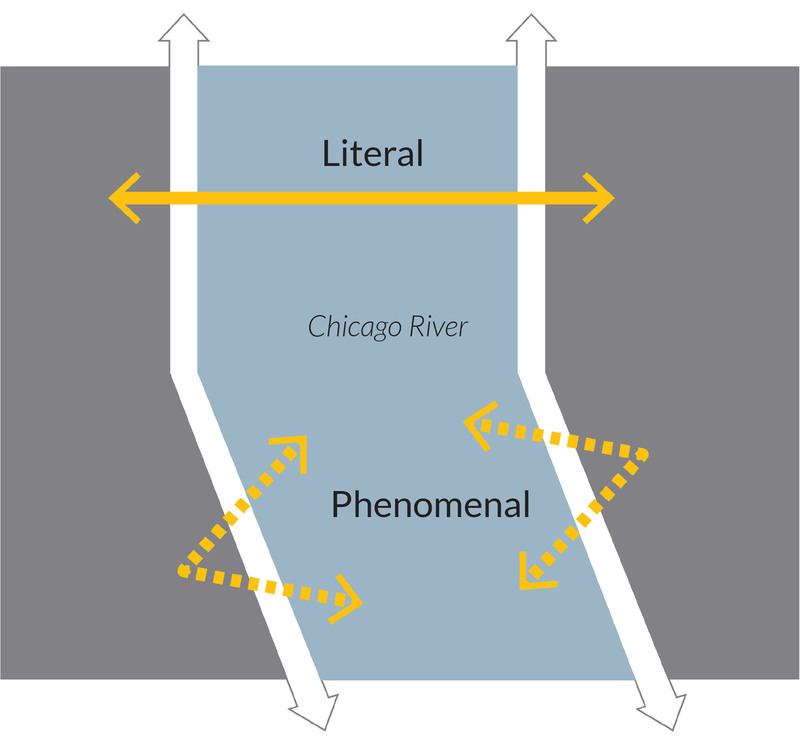 Taken together, these elements posit that the future of the Chicago Riverwalk is a dynamic, operative strategy that can enrich the human experience, support social equity, and re-animate the river. Before there was “Chicago,” there was First Nature—the unaltered natural landscape. Midwestern ecologies of wetland marshes, freshwater streams, tallgrass prairies, beach dunes, dense forest, and wild onion “Che-ca-gou” (the namesake of Chicago) line the coast of Lake Michigan. Grain towers, railroads, lumber yards, meat packing plants, wheat fields, forests, industrial waterways—these are the elements of Second Nature—the man-made landscapes for the purposes of economic gain that repress the natural ecologies of First Nature. Third Nature is a contextually-driven solution that oscillates between the first two natures. 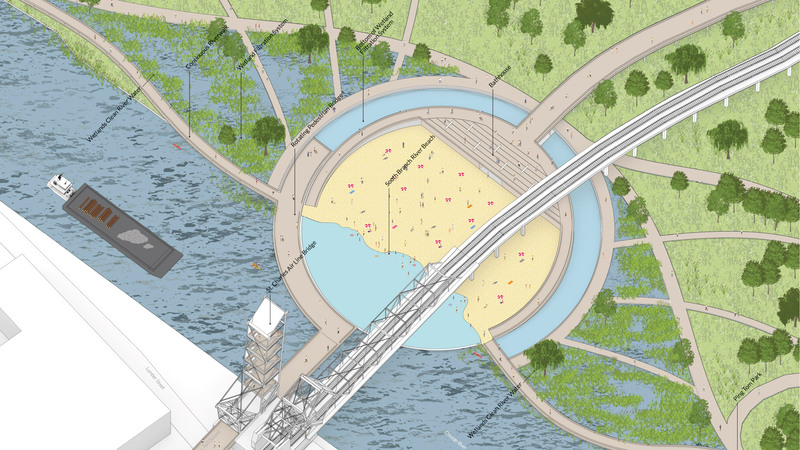 It seeks to proactively improve ecological conditions, enhance social equity through access, foster a productive river, and create a memorable human experience. Omni ECOSYSTEMS comprises a talented staff of over 10 professionals based in Chicago with expertise in landscape architecture, horticulture, soils, sustainable infrastructure, and construction services. Each division is headed by a highly experienced and energetic leader. Our structure allows our clients to gain value and flexibility by choosing a la carte services or full turnkey operations. By employing a landscape architect led design / build team, we increase accountability and decrease costs on any specific project. We built our firm to give clients excellence each step of the way: From visionary thinking at the start to efficient managers and technical experts who ensure the vision is seen through; from crews who know the vision and care for the craft to stewards who understand how to grow a landscape overtime into something magnificent; Omni is raising expectations and providing results. Perkins+Will is an internationally acclaimed, global design firm founded in Chicago in 1935. We consider ourselves “agents of change” in shaping regions, cities, buildings, landscapes, and interiors. We approach the planning and design of great places based on principles including adaptability, access, identity, experience, stewardship, and achievability. Perkins+Will serves a variety of clients in market sectors including urban design, education, corporate/commercial, civic, and healthcare. 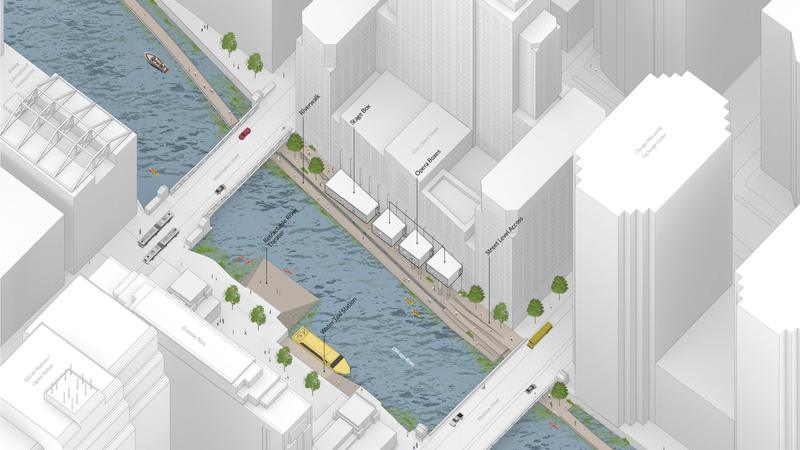 Recent work along the Chicago River includes the Riverline mixed-use district master plan. 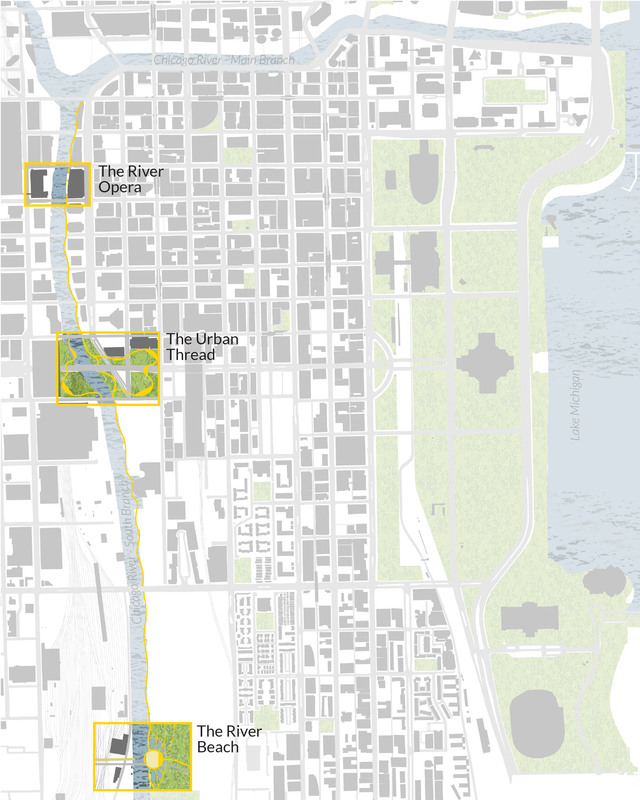 Other prominent Chicago projects include the Peggy Notebaert Nature Museum, Jones College Prep High School, the Contemporaine, Skybridge, and the Campus Transformation Project at Rush University Medical Center.